THE EVENT HAS BEEN POSTPONED. A NEW DATE WILL BE ANNOUNCED IN COMING MONTHS. 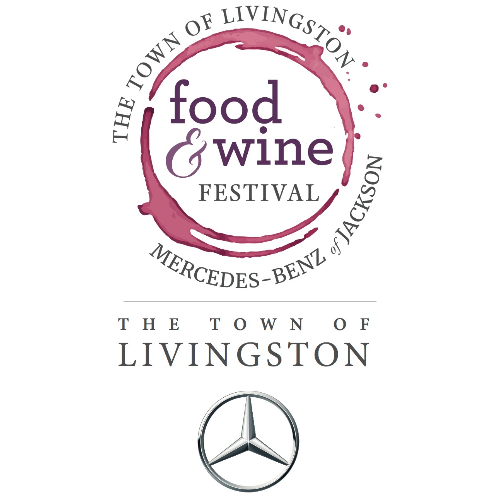 Join us in the historic Town of Livingston for our inaugural Food and Wine Festival featuring Mississippi’s premier chefs, restaurateurs, vintners, and brewmasters. We offer events ranging from a Friday night tasting under the lights of the town square, the chef’s party, a wine and cheese pairing, and individual events hosted by The Briar Patch, County Seat, The Gathering, and Farmer’s Table Cooking School. Schedule below. 5:30 - 9:30 PM - Tasting on the Square - $50.00 - Get a taste of the Town of Livingston through live music, chef tastings, wine and spirit tastings at the town square. 10:00 - 11:00 PM - Chefs After Party - Your ticket for the event on the Square gets you in this after party- with beer and wine pairings and light hor d'oeuvres at the Chapel Courtyard. 8:00 - 10:00 AM- Breakfast at the Gathering Restaurant - $50 - Join us for a come-as-you-please breakfast buffet featuring a mimosa and bloody mary bar. 10:00 AM - 7:00 PM - Artisans on the Square - FREE - Join us for a fun filled day full of live music, an open bar, with a sports café on the square with your favorite football games playing under a big tent. Sip on flights of craft beer tastings from Southern Beverage, and purchase your favorite wines by the case at an incredible price. 1:00 - 3:00 PM - Wine and Chesse Tasting - $50 - Sample a carefully curated selection of wine and artisan cheese pairings at The Chapel.